Two online impact investing platforms, Ethex and Lendahand have joined forces to provide UK based retail investors with investment opportunities which will significantly improve off grid energy access for families in Sub Saharan Africa. Ethex is a UK based non-profit social impact savings and investment platform and Lendahand is a Dutch based crowdfunding platform focused on impact investing in emerging markets. Together, both organisations have launched Energise Africa – an initiative that provides working capital to businesses that sell solar home systems in sub-Saharan Africa. The aim is to provide more than 111,000 rural families access to clean and renewable energy over the next three years. Lendahand has experience in offering loan products to support businesses operating in emerging markets; while Ethex is a not-for-profit social enterprise that has a successful track record of marketing to and engaging with UK based retail investors who are interested in generating a social, environmental and financial impact.Both organisations are well regarded in the social investing space, evidenced by both their large investor base (over 13,500 investors) and an enviable track record of repeat investing which has resulted in both organisations raising a combined £70 million+ for social enterprises, charities and businesses since 2013. In addition, Ethex also recently won a 2016 Social Investment Award, run in partnership with the UK Cabinet Office and NatWest. Energise Africa is supported by UK aid and Virgin Unite, the non-profit foundation of the Virgin Group, with the objective to accelerate progress towards the achievement of the UN agreed Global Goal 7 – to ensure access to affordable, reliable, sustainable and modern energy for all by 2030. Their support is instrumental in ensuring the success of the overall initiative and the specific activities that each supporting partner is providing are outlined below. Providing grant funding to support the development of Energise Africa to enable crowdfunding of enterprises bringing clean energy and generating employment in African countries. 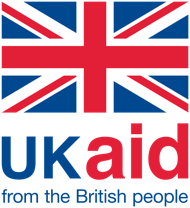 Providing match funding for some Energise Africa projects, effectively co-investing alongside UK-based investors, thereby enabling the public to steer the flow of a proportion of UK aid funding and boosting the overall impact on the ground. Good Energies Foundation is a Swiss-based private foundation. It was established in 2007 as an integral part of Good Energies Inc., a private equity company specialised in investing in the renewable energy and energy-efficiency industries. Good Energies Foundation is supporting Energise Africa by providing some first-loss protection, match funding and other financial incentives to a number of projects, helping to maximise the impact of clean energy access on the ground for families in Sub-Saharan Africa, whilst de-risking investments for the crowd. 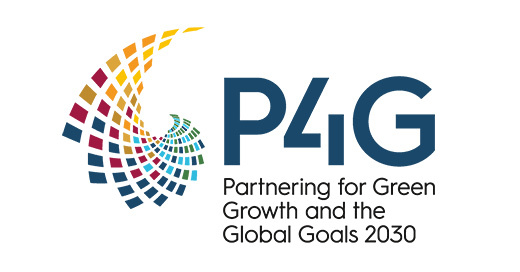 P4G – Partnering for Green Growth and the Global Goals 2030 – is a new network of global leaders and innovators seeking breakthrough solutions for green economic growth. The initiative commenced in 2018 with the ambition of becoming the world’s leading forum for developing concrete public-private partnerships at scale to deliver on the SDGs and the Paris Climate Agreement. P4G brings together business, government, and civil society organizations in innovative public-private partnerships to advance solutions that help meet humanity’s greatest needs in five key areas: food and agriculture, water, energy, cities and circular economy. Energise Africa is one of the first 11 P4G start-up partners funded in 2018. The partnership aims to demonstrate how UK-based retail impact investors can provide affordable finance for pioneering solar businesses operating in Africa to accelerate universal access to affordable, reliable, sustainable and modern energy for all. Energy 4 Impact is a UK non-profit with a business approach to tackling energy poverty. Energy 4 Impact supports the development of a broad range of small businesses and project companies in the energy economy so they can provide communities with access to energy at affordable prices. With an emphasis on mentoring and advisory services, Energy 4 Impact helps businesses access capital, technology and operational advice so they can become profitable and sustainable. Energy 4 Impact has partnered with Energise Africa to manage UK Aid’s funding, introduce potential borrowers to the platform and provide them with advice, and monitor the initiative’s impact.